Thinking of making a job switch but aren’t sure whether you’ll find the right fit? Here’s how to use your existing skills to make a splash in the job market. Switching jobs is hard enough but making the switch to a career in another industry is a whole different challenge altogether. Most jobs require that you be open to growth, change and adaptability and that often means using what you have to swim with the changing tide. There’s nothing wrong with learning new skills. In fact, enhancing your existing knowledge and learning something new through online courses goes a long way in helping you to adapt to a new working environment, but that doesn’t mean that you have to discard what you know in order to thrive in a workplace that feels foreign to you. But just how do you make the transition into a new field with the set of existing skills that you have? Sometimes when people make a change they’re not quite sure what it is they want to do next, especially when they’re feeling burnt out from their last career or they’ve been retrenched. Determining the reasons behind making the change and thinking about the direction you’d like to go in is a good place to start before you even consider your skills. According to The Guardian, key questions like what it is you like to do and what you’re good at can help you answer the “where to next?” question. Make a list of companies that you’ve always admired and that you can see yourself working for and identify how your work experience can tie in with what they’re offering. Knowing who you’d like to market yourself to is key in establishing the transferable skills that you want to promote. Transferable skills don't just refer to the hard set of requirements that are needed for a specific job role. Most of us have picked up on skills that have become just as valuable in the work sector – skills that look more towards the following: communication skills, problem-solving abilities, critical thinking and project management to mention a few. These are the kind of skills that are valued and can seamlessly help you to fit into surprising roles. So think about the industry you want to work in, look at job descriptions for that particular industry and list examples of the skills you have that you think could work well. Consider what you can bring to the table in terms of knowledge, personality and functional skills and identify keywords within those job descriptions that can help you to highlight your strengths. By giving brief descriptions and examples of how you used that specific skillset in your previous workplace, you can create a great impression and stand out from the rest. How much do you know about the industry that you’re aiming to make a move to? A key point in making the transition to a new career sector is to be knowledgeable about what you can expect. According to leadersinheels.com, you should speak to contacts in the sector and find out what a typical work day is like. What core qualities and qualifications is that industry looking for and what can you bring to the table that aligns with those requirements? Most importantly, the research you do in the industry not only shows you how you can fit into a typical role, but it gives you an indication of potential gaps in your knowledge that you need to fill. And finding out what you don’t know gives you the opportunity to search for educational opportunities (there are often a wealth of affordable and sometimes free courses) that can help you up your game and better your chances. Another important point, especially if you’ve been retrenched: in-depth research into the industry could also help you to determine how strong the industry is in terms of growth opportunities and whether or not you’re likely to be retrenched again. It’s important to focus on what you love, but if what you love is an industry where retrenchment rates are high, you should make sure that you have a back-up plan in terms of making an industry switch. Finding a job is all about selling yourself, and it’s no different when you’re switching career paths. In fact, the chance to market your skills to a new industry means that you’ve got a chance to start fresh. Go out there and network. Attend events that are related to the industry. Listen to key speakers within the industry and make yourself known to them by showing interest, asking questions and taking note of key trends. A good part of adding to your already impressive set of skills is to show you’re willing to come in fresh and learn about the industry you’re hoping to break into. 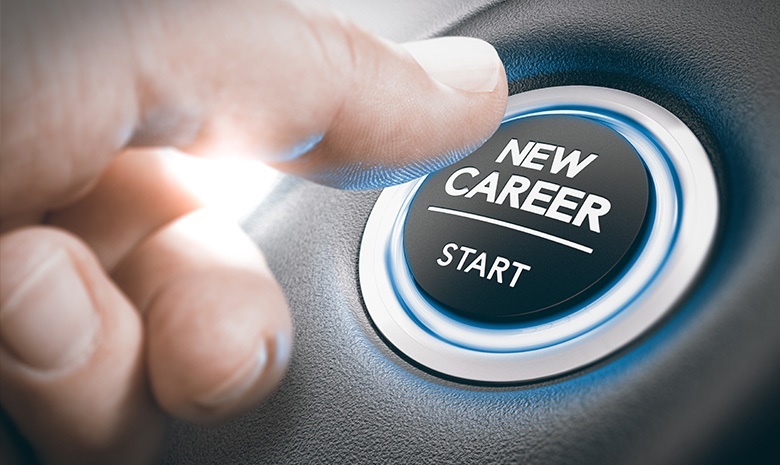 A willingness to learn, in conjunction with already existing communication (written and verbal), software skills (knowing how to work in certain programs) and people skills (team management) can easily ensure that you’ll be welcomed into the fold of a new career path.